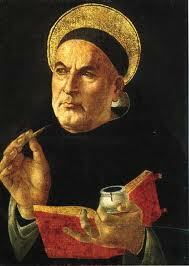 Before I discovered Shakespeare, the writer I most admired was St. Thomas Aquinas. Dazzling as Shakespeare is, I think I was right the first time. Apples and oranges, of course; but in this case I think the apple diet would have been better for me. Many, not all of them Catholics, regard Aquinas as the most profound thinker of whom we have record. I’m not qualified to judge that; I’d be like Mr. Magoo judging a beauty contest. I can’t even call myself a Thomist. I dabbled in his writings in my teens, when I converted to Catholicism. But it was enough to give me a taste of his austere joy in contemplation. I’ve just been reading some recent theological controversies, and how I wished St. Thomas could have stepped in to settle them. The disputes were full of vigorous, thought-provoking arguments; but the arguments were also adulterated by overstatements, imprecision, and even personal accusations. The phrase odium theologicum sprang to mind. And in some cases the disputants hadn’t taken the preliminary step of defining their terms. In other words, if you’re not careful, theological debates can become alarmingly similar to political journalism, where truth-seeking easily turns into mere partisan polemics, or just bickering with annoying people. The goal is victory over a humiliated opponent. This spirit is not necessarily charitable. The spirit of Aquinas is very different. He isn’t merely charitable to his opponents; he is always on his opponent’s side. That is, he wants to confront opposing arguments at their best, even if he has to reformulate them himself and make them purer, stronger, and more precise than their advocates have done. Aquinas has the rare quality of wanting to know all that can possibly be said for the other side. He understands that you can’t find good answers without good questions. The human mind needs both. There are no cheap shots or straw men in the Summa Theologica. Aquinas has no need of them; they would only corrupt what he is trying to do. When he debates the existence of God, he doesn’t cast aspersions on wicked atheists; he simply tries to make the strongest case for atheism before he gives his reasons for rejecting them and for affirming God’s existence. Thinking is complicated enough, without being further complicated by personalities – even one’s own personality. Given the immense, impersonal calm of his writings, it’s hard to recall that Thomas Aquinas himself was once a figure of controversy. 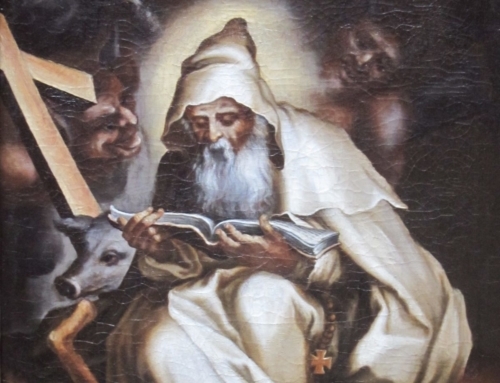 In modern times his sanctity has been turned against him, and he has often been caricatured and dismissed as slavishly orthodox – the modern stereotype of medieval man. But there is a startling boldness in his orthodoxy. Time and again the reader finds him seeming to contradict the obvious meaning of Scripture, Aristotle, or St. Augustine; only to find him patiently explaining that the passage in question must be understood in a certain sense. Aquinas was born in Italy around 1225 to a noble family (his second cousin was the Emperor Francis II) who were shocked by his decision to become a Dominican friar. Nicknamed “the Dumb Ox” for his bulk and quiet manner, he taught at the University of Paris. He died in 1275. That is pretty much all we know of his life, except for a few anecdotes. One of these is the famous story of a banquet with the king of France, Louis IX, at which Aquinas sat brooding absent-mindedly on a theological dispute. 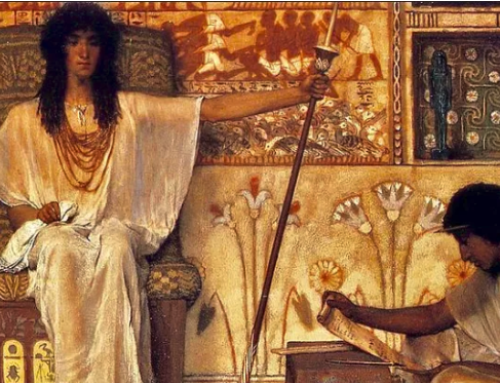 In the middle of dinner, an idea occurred to him, and he burst out, “That will answer the Manichaeans!” Far from taking offense, the king ordered pen and paper brought immediately so that his guest might scribble down his brainstorm. Aquinas left a huge body of work (all of it in Latin), which is still being edited. Though he won renown in his own day, he was also controversial. A few years after his death, the Archbishop of Paris ordered his works burned, thinking their deep debt to the pagan Aristotle heretical. 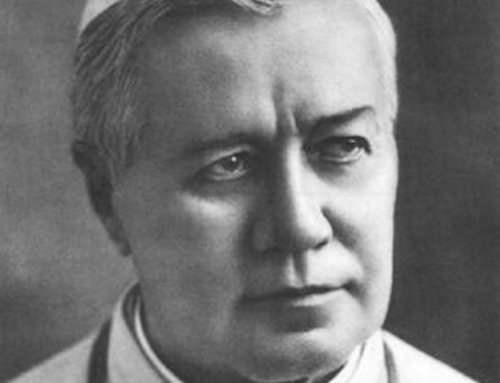 Yet he was canonized a saint only a short time later, and his influence spread; he had become the preeminent Catholic theologian and philosopher long before Pope Leo XIII declared him a Doctor of the Church late in the nineteenth century. 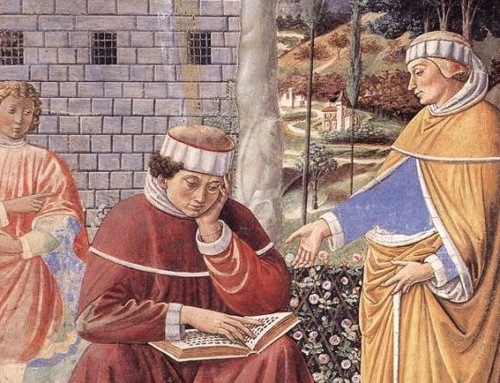 G.K. Chesterton said that Aquinas had made Christendom more Christian by making it more Aristotelian. I think I know what he means; but I’m content to admire St. Thomas Aquinas him as a writer of the most exquisite Christian manners. This essay was published originally by Griffin Internet Syndicate on December 5, 2002 and appears here by permission. Joe Sobran (1946–2010) was an American journalist with National Review magazine and a syndicated columnist. Pat Buchanan called Sobran "perhaps the finest columnist of our generation." He was the author of Alias Shakespeare: Solving the Greatest Literary Mystery of All Time, Single Issues: Essays on the Crucial Social Questions, and Hustler: The Clinton Legacy.